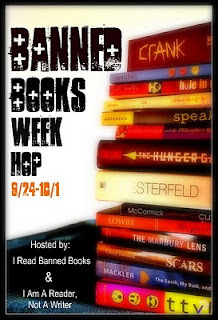 Welcome to the Banned Books Week Hop! 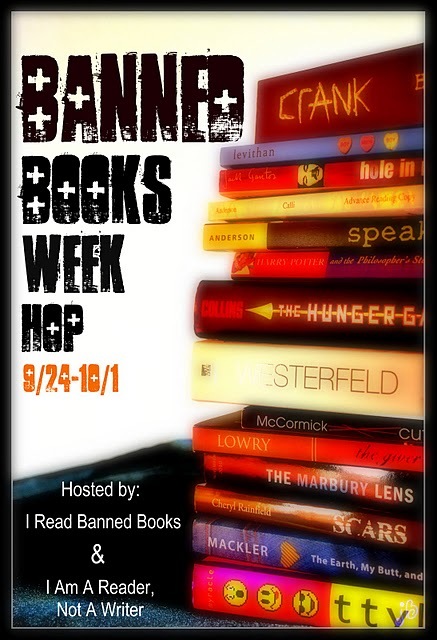 This event is hosted by the lovely bloggers from I Read Banned Books and I Am a Reader, Not a Writer. I am stop #43. There are over 250 stops, each with their own banned book related giveaway so make sure to check them all out as well (you can see the full list of participants here). A $10 gift card to Amazon.com, or BN.com. I am letting the winner choose their banned or challenged book. I believe that every book has a place on a shelf. Our shelves are all different and we should be able to have our own choice in what is on that shelf. I did stumble across this list of 50 banned books that everyone should read and was SHOCKED at the books that were listed. Become a follower of this blog and complete the entry form below. Thanks so much for being a follower! Sounds like fun, just remember no book has been banned in the USA for about half a century. Fanny Hill got that honor a long time ago. Thank you for participating this year! Thanks for the awesome giveaway! I'm off to check out that list you posted! The American Library Association website for banned/challenged books--short list for classics only--includes To Kill a Mockingbird, by Harper Lee; 1984, by George Orwell; A Farewell to Arms and For Whom the Bell Tolls, by Ernest Hemingway; Gone with the Wind, by Margaret Mitchell; and Sophie’s Choice, by William Styron. That's here in the U.S., and Canada has a banned book week in February. A commenter on Murder She Writes, however, took me aback by mentioning the Bible, but, of course, it is banned in some places. Thanks for the giveaway and the link, I can't believe some of the books listed wow. There are so many books that have been banned that I don't even understand the reasoning that prompted the ban. Disturbing.